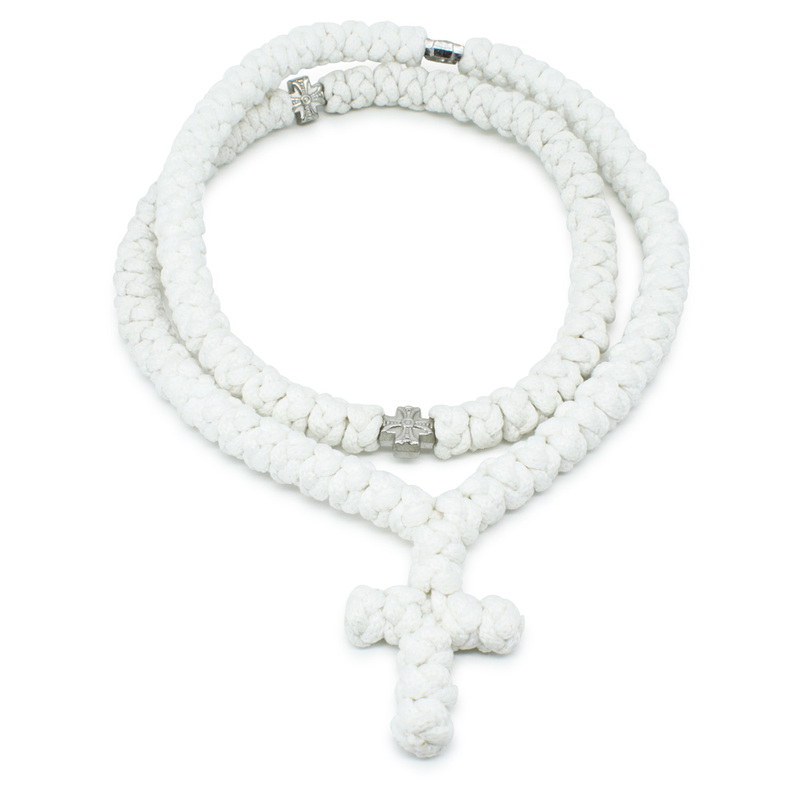 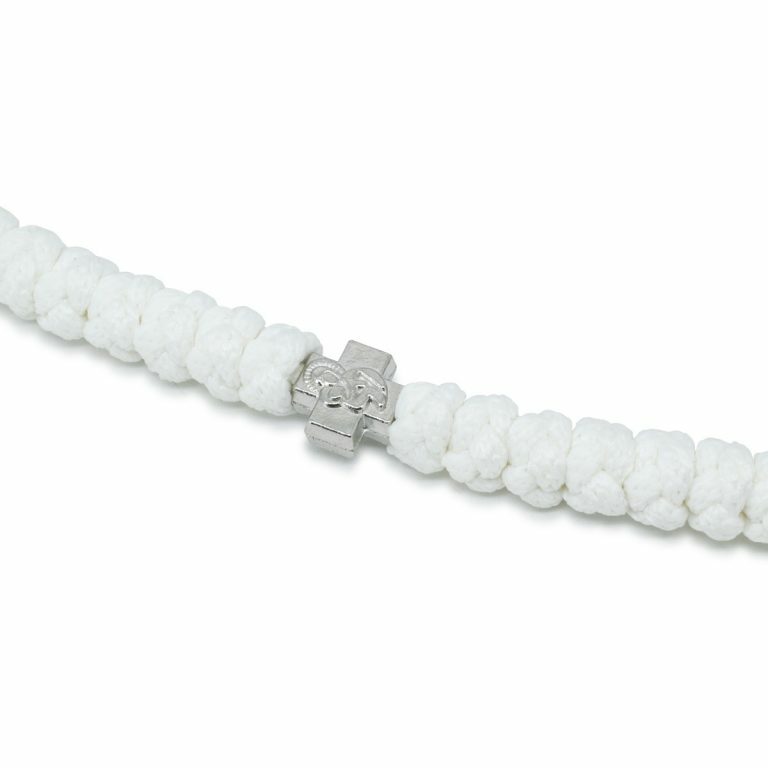 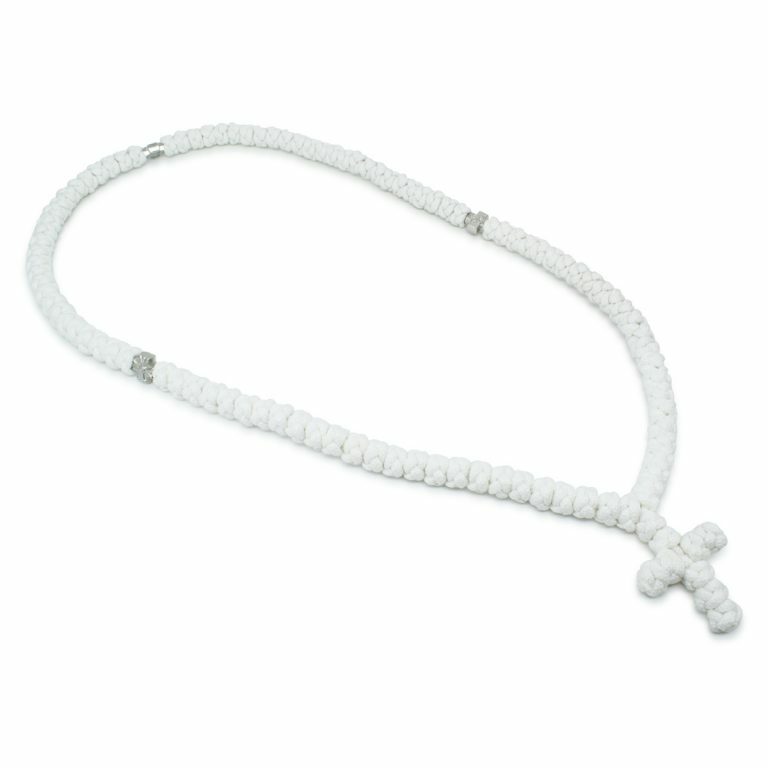 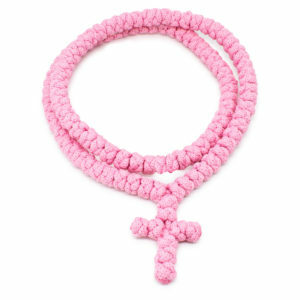 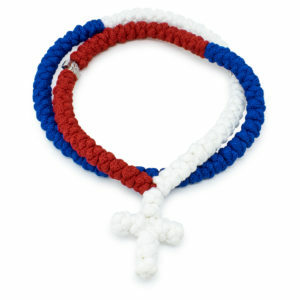 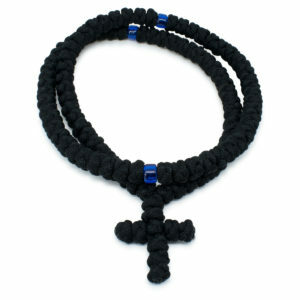 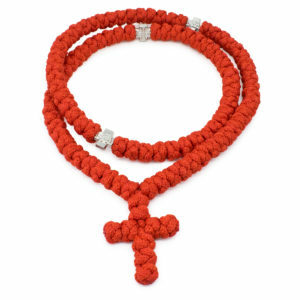 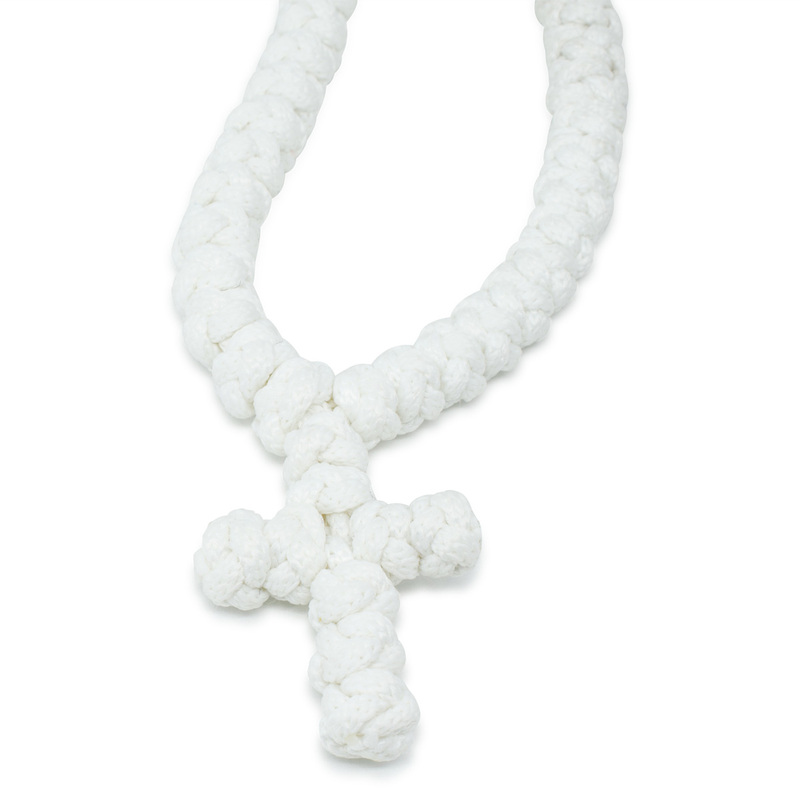 This 100 knot white prayer rope necklace is handmade and authentic. It has 3 divider cross beads with the depiction of the Virgin Mary. 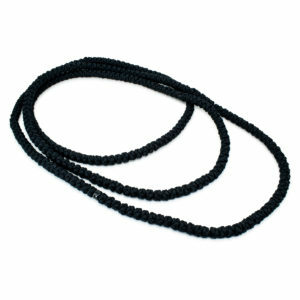 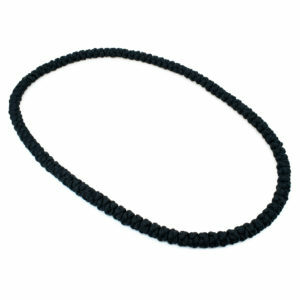 Like the other necklaces in our collection this necklace has been made in line with tradition.